The U.S. Capitol Police are telling staff in the Capitol complex to shelter in place after a report of gunshots being fired in the Capitol Visitors Center. 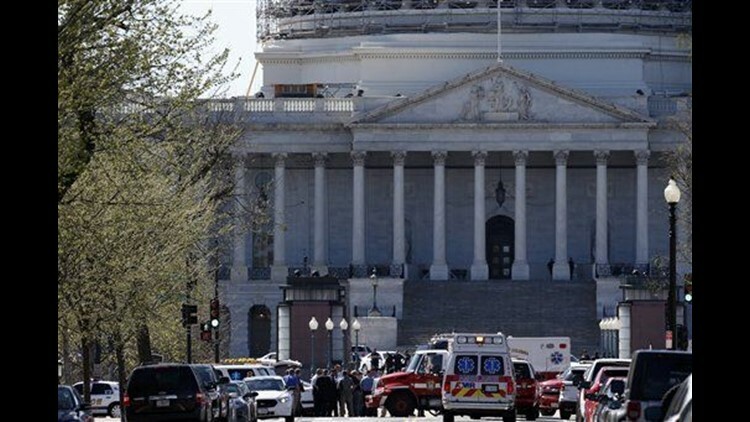 WASHINGTON (AP) — Capitol Police shot a man on Monday after he pulled a weapon at a U.S. Capitol checkpoint. The suspect was taken to a local hospital and a female bystander sustained non-life-threatening injuries. Associated Press writers Mark Sherman, Mary Clare Jalonick and Alan Fram contributed to this report.